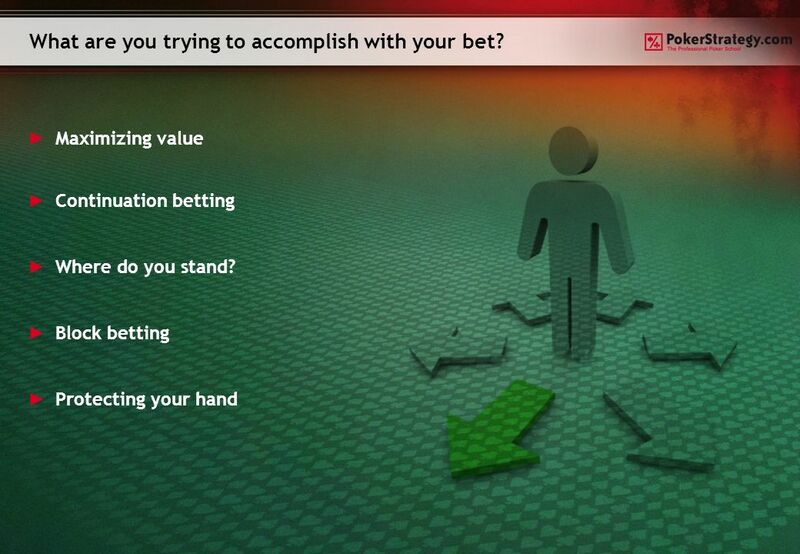 Bet sizing – How much to bet and why? Strategy: SnG / Tournaments. 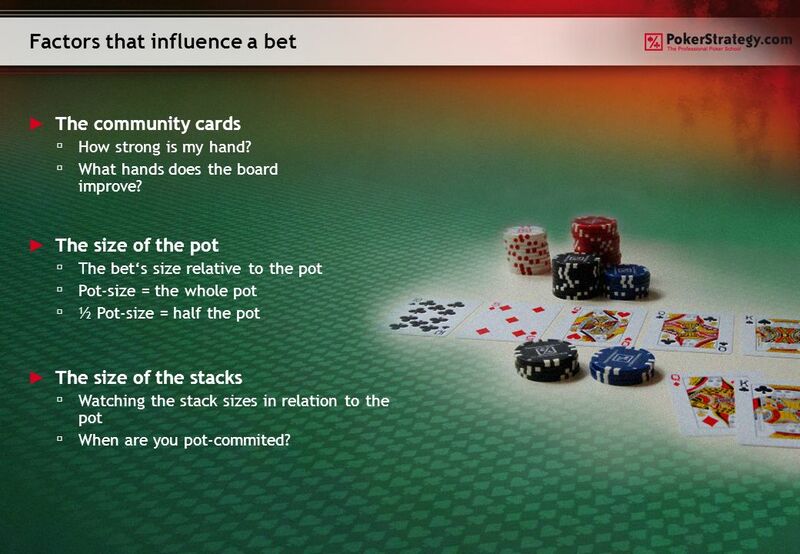 3 Factors that influence a bet The community cards How strong is my hand? What hands does the board improve? The size of the pot The bets size relative to the pot Pot-size = the whole pot ½ Pot-size = half the pot The size of the stacks Watching the stack sizes in relation to the pot When are you pot-commited? 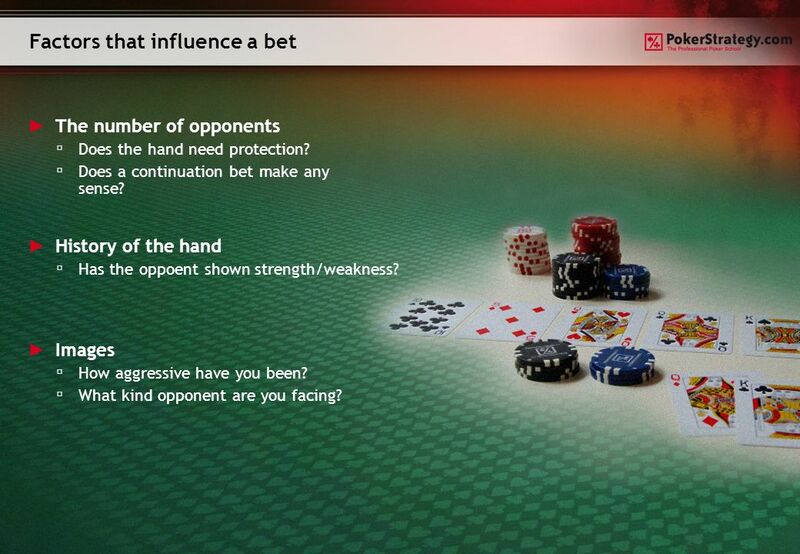 4 Factors that influence a bet The number of opponents Does the hand need protection? Does a continuation bet make any sense? History of the hand Has the oppoent shown strength/weakness? Images How aggressive have you been? What kind opponent are you facing? Download ppt "Bet sizing – How much to bet and why? 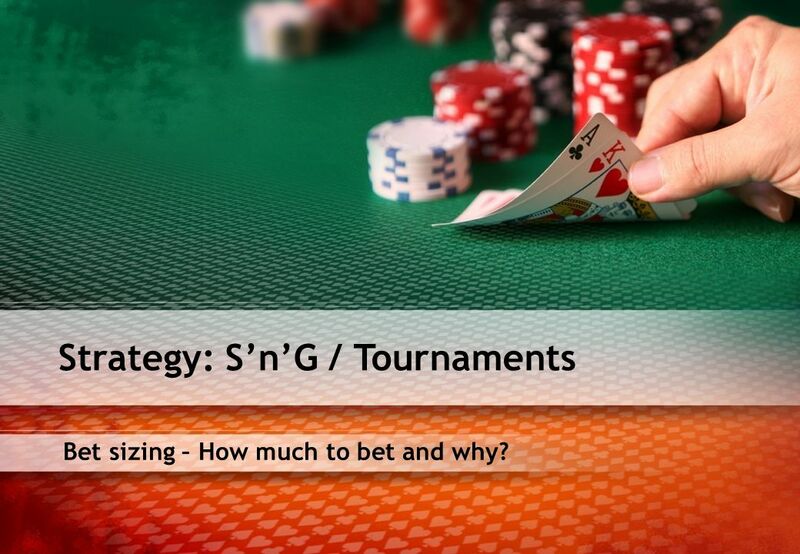 Strategy: SnG / Tournaments." How do you play weak & strong draws? Strategy: No Limit. Short Stack Strategy: Odds & Outs Strategy: No Limit. 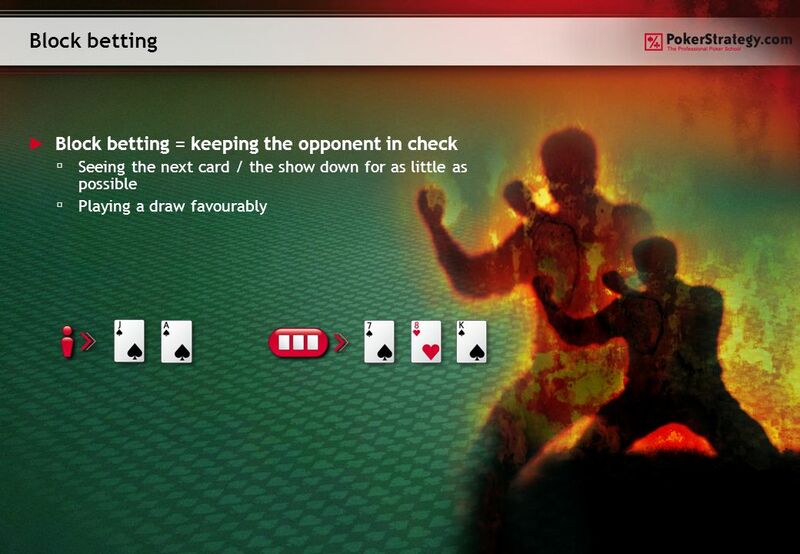 Odds and Outs – How to play Draws Strategy: SNG / Tournaments. Advanced strategies for postflop play Strategy: SnG / tournaments. Advanced Strategies for Craps and Poker Billy J. Duke Joel A. Johnson. 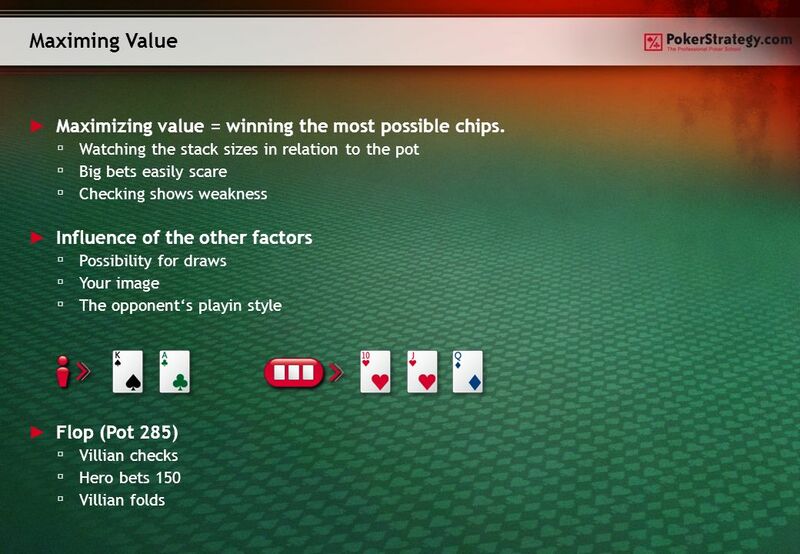 How to win at poker using game theory A review of the key papers in this field. Virtual Host: John Morales Revised: September 21, 2011 Project 4: Multi-media Lesson. 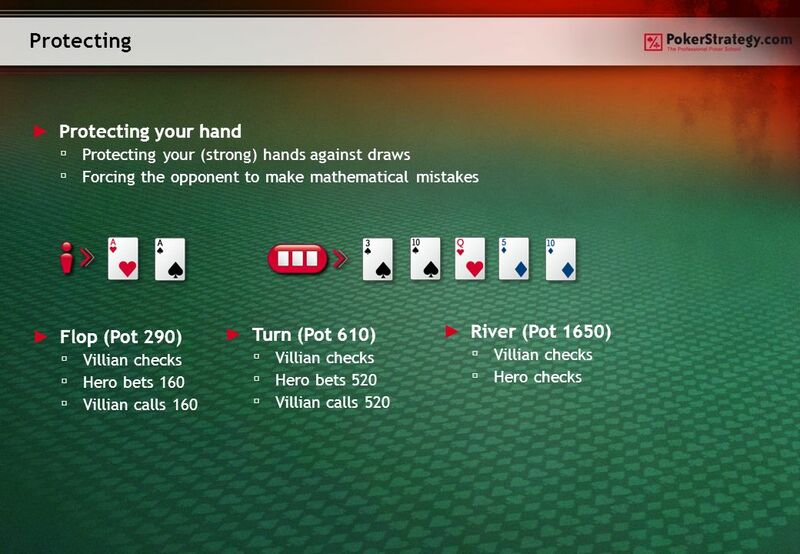 After the flop – an opponent raised before the flop Strategy: No-Limit. 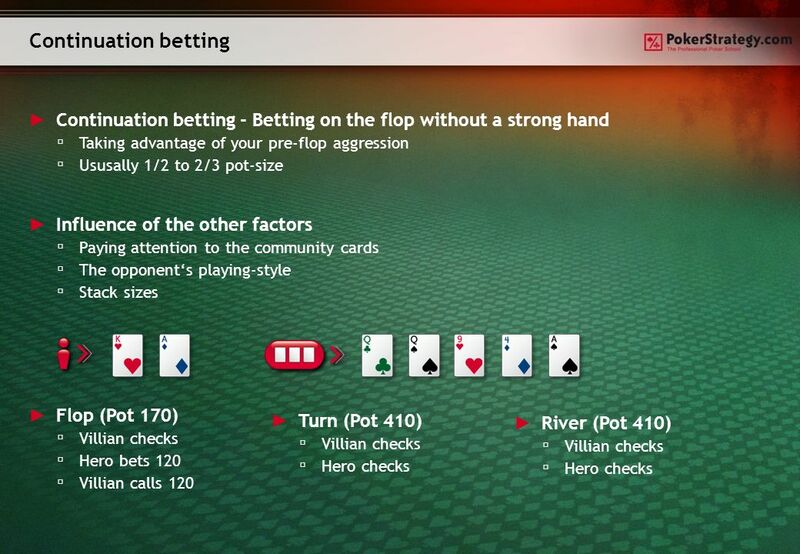 After the flop – nobody raised before the flop Strategy: No-Limit. Stat 35b: Introduction to Probability with Applications to Poker Outline for the day: 1.Zelda, continued. 2.Difficult homework 3 problem. 3.WSOP 2013 hand. Switching from Short Stack to Big Stack Strategy Strategy: No Limit. Tuomas Sandholm, Andrew Gilpin Lossless Abstraction of Imperfect Information Games Presentation : B 趙峻甫 B 蔡旻光 B 駱家淮 B 李政緯. 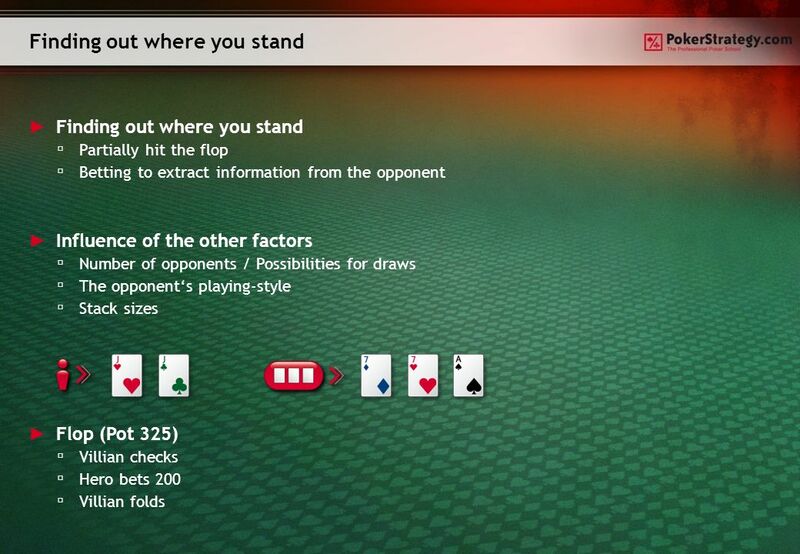 Short Stack Strategy – How to play after the flop Strategy: No Limit. 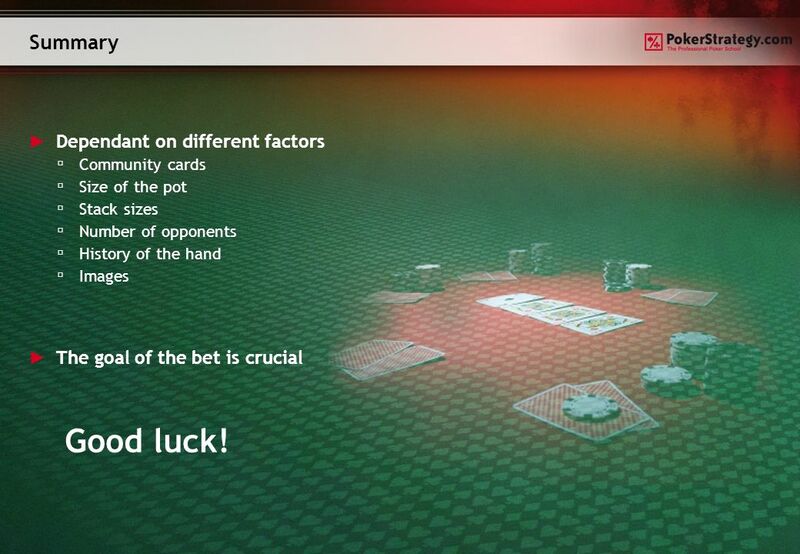 Neural Networks for Opponent Modeling in Poker John Pym. 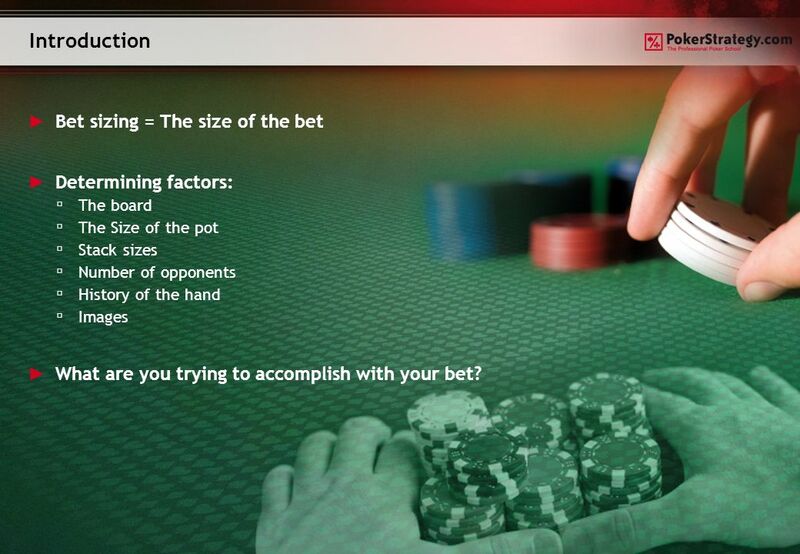 Dealer Comm Hand Player makes Ante bet and optional Bonus bet. Five cards are dealt to each player from the shuffler. Five cards are dealt from the shuffler. BLACKJACK SHARKS: Aabida Mayet, Omar Bacerra, Eser Kaptan March 15, 2010. Pokerbase Based in part on an artificial intelligence engine developed for NOPIS David Rientjes CSE 403 a 2-tier simulator and database companion for serious.